Thanksgiving is a time to remember what we’re thankful for, and here at Dancing Seeds we’re filled with gratitude for friends and family, a supportive community, fantastic customers, good health, a beautiful farm, a bountiful first year…and especially for you! Thank you for believing in our vision, buying our products, and cheering us on! With the changing of the season (and thanks to some of your helpful feedback), we’ve adjusted our store hours for fall and winter. We’re now open every weekday from 4 to 6 pm. And keep your eye out for our OPEN sign on the road at other times. If you pull into our farm and don’t see us, feel free to ring the WiFi doorbell on the farm store. We’ll come out to help you as quick as we can. Boy have I been on a whirlwind circumnavigation of the continent and much needed rest period from the Go! Go! Go! Of farm life. From Wolfville, Nova Scotia to New York City, Baton Rouge and New Orleans, and now my hometown of Oakland, CA for Thanksgiving before heading back to the island; it has been a trip full of lots of family time, incredible food, art and inspiration. In Nova Scotia I got to indulge in delicious food, great regional wines, and international films focused on every aspect of food from history, to politics, to growing, and of course cooking and enjoying. In NYC I visited my sister and her family, saw some shows and museums, and took in the sights and sounds of the big city. From there it was on to New Orleans, where the infusion of a dark history combines with a rich culture of food, music, community, and pride in a very palpable sense. And finally in my hometown of Oakland, CA where unfortunately the smoke from the Camp Fire 200 miles north fills the air here. As my trip culminates around Thanksgiving, I am thankful to have the incredible life that I have; my wonderful parents for fostering and supporting a love of travel, great food, art, and culture; and the support of the Dancing Seeds Farm team to be able to take such a long trip (which I will make sure to reciprocate when they need to take a vacation!). Despite the barrage of negative news that tries to pummel us daily, I am grateful for all that is GOOD in our lives, and that many of us on the island have the ability, fortune and drive to work towards building the kind of world we want to see. To read more about Greg’s excursions, click here. Cold weather doesn’t mean we hibernate! We’re still growing an abundance of greens, like kale, mustards, cabbages,and Asian greens. We still have spinach and arugula, too, and cauliflower is finally making an appearance. Also noteworthy right now: all sorts of squash, a variety of apples, and of course Zach’s micro-greens. We’re also selling cans of locally caught High Seas tuna at our farm store , the perfect topping for an autumn kale and apple salad! What’s Happening In Kitchens Around the Island? Susan Nichols OTR/L,of Friday Harbor’s Hand to Shoulder Therapy, sent in this recipe for Twice-Baked Delicata Squash, commenting that the tangy mustard greens offered a nice flavor boost that contrasted well with the sweet squash. Note: arugula can be substituted for mustard greens, and ricotta cheese can be used in place of feta and cottage cheese. Pre-heat oven to 375.Cut the delicata squash into halves and scoop out the seeds. The stem can be tough to split, but if you start your cut at the base of the squash and slice laterally you will have a much easier time getting past the stem. Place the halved squash on a baking sheet, face-up (I prefer to cover my baking sheets in parchment paper when roasting, as it makes clean-up a snap). Once your oven is heated, roast the squash for 30-40 minutes — until you can easily stick a fork all the way through the squash. Chop your mustard leaf, onion, ham, and garlic. Heat olive oil in a frying pan over a medium-high burner, and when it’s ready add your onion and sauté until the onions are translucent with edges of caramel, stirring regularly. Add garlic, which will burn easily, so you need to keep an eye on the pan and stir with enough frequency to keep from searing the garlic. Combine cooked onion and garlic with the mustard leaf and ham, and sauté lightly. Set aside until the delicata has finished roasting. Scoop out the roasted delicata. You should be able to scrape all the way down to the inside of the skin and remove all of the flesh of the squash with eade — but be careful not to tear the skin! You can leave the skins on the baking sheet, as you will be using them again in the next step. In a mixing bowl, combine squash, egg, and feta cheese and cottage cheese, add in the ham, mustard leaf, onion and garlic. Lastly, season with maple syrup, salt and pepper to your taste. Fill the delicata skins and cook 45 minutes at 350 degrees. Yum! What a way to impress your Thanksgiving dinner guests! And don’t forget, delicate skins are edible. Do you have a recipe you’d like to share? Please send them along to info@dancingseedsfarm.com! What We’re Reading: Plant-Based Cookbooks! Are your holiday meals still heavily skewed toward recipes that call for animal-based foods like turkey and prime rib, gravy, butter, and cream? Or have you begun to re-think what to cook now that climate change and animal ethics are top of the mind? Do you ever have that panicky feeling when you find out a vegan is coming to dinner and you have no idea what to prepare? We have a vegan on our team, and a couple of mostly-vegetarians, and a couple of omnivores. We also have carnivorous pets! We’re not necessarily opposed to eating animals that are ethically raised, but we do believe that plants have a whole lot more to offer than the general population appreciates (for humans and dogs). Here are three great plant-based cookbooks that might inspire your menus, or be great gifts for friends and family, this holiday season. 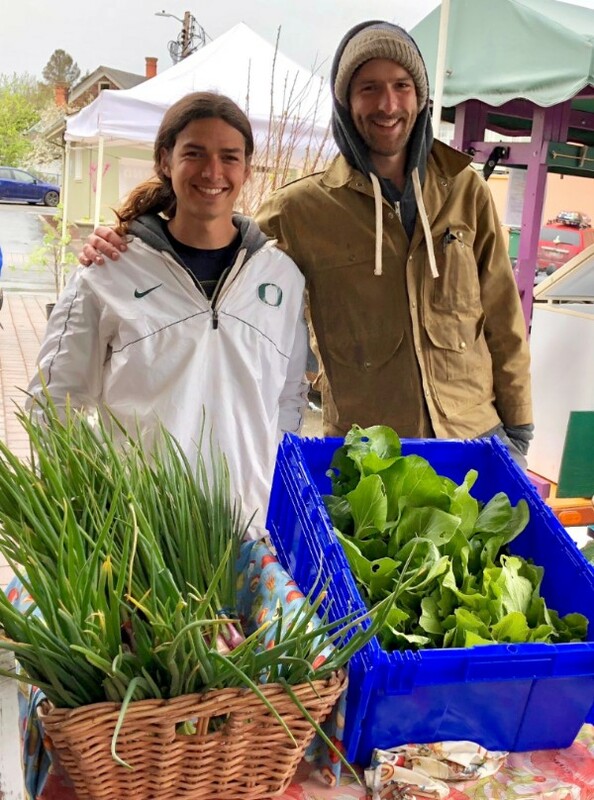 At the San Juan Island Farmer’s Market on the first and third Saturdays November through March. 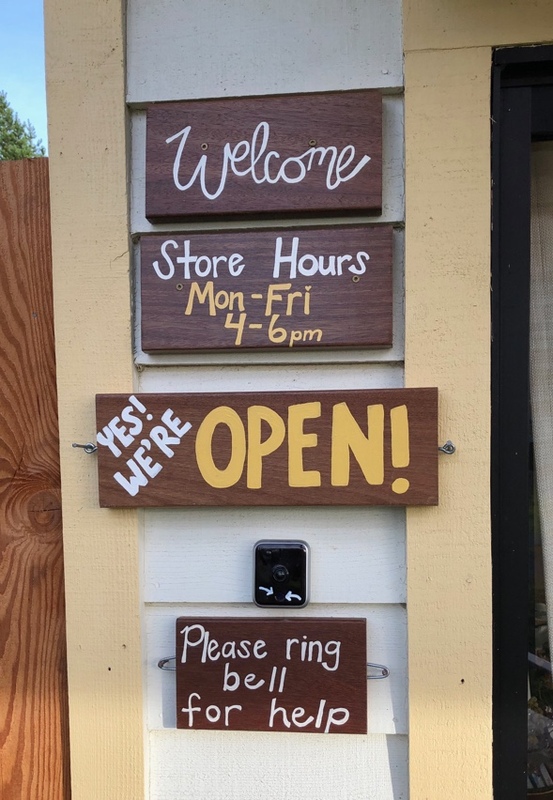 At Our Farm Store on weekdays from 4 to 6 pm, and whenever you see the “Open” sign alongside the road. At the San Juan Island Co-op and at select restaurants on the island.